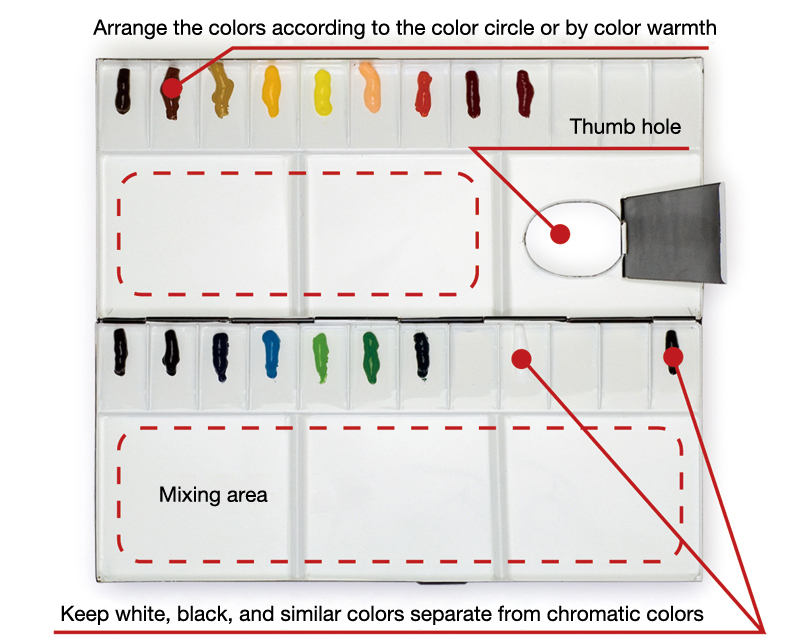 Watercolor palettes are flat, smooth boards or saucer-shaped and used as plates in watercolor, gouache and similar works to arrange paints, mix colors and adjust moisture content, etc. The shape and type of material in a palette depends on the type of paint material being used. 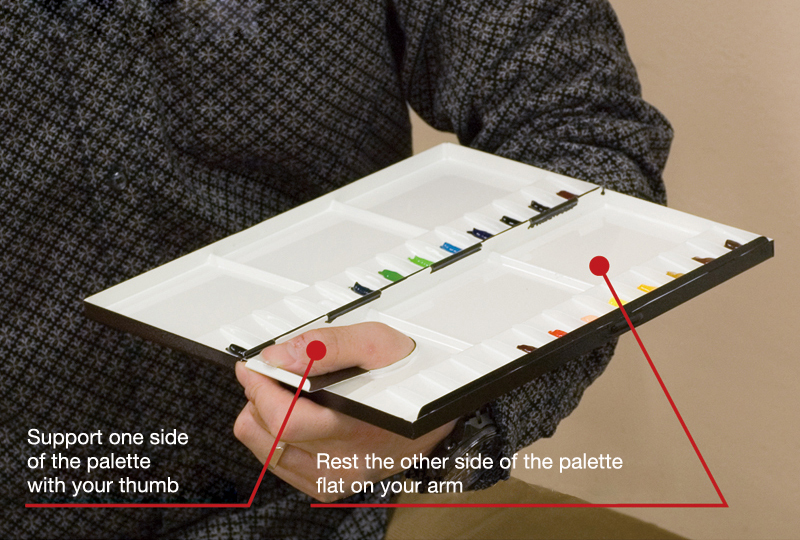 Watercolor palettes are divided into several compartments or recesses on the surface of a flat board, comprising smaller compartments for holding paint and larger compartments for mixing paint with water and blending colors. This is to prevent runs and inadvertent mixtures that could occur due to the fluidity of watercolors. 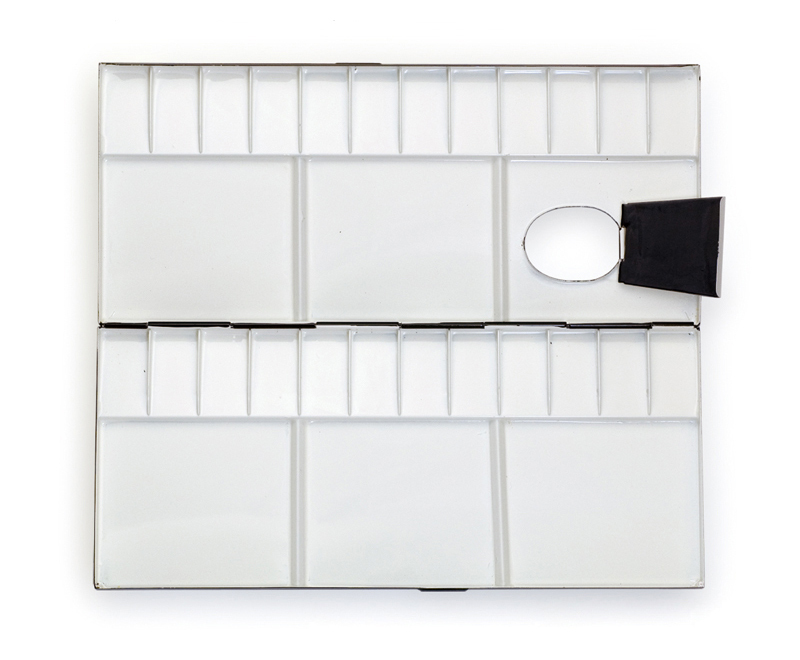 Generally, many palettes are square in shape with folding square types being particularly popular because they are easy to carry. 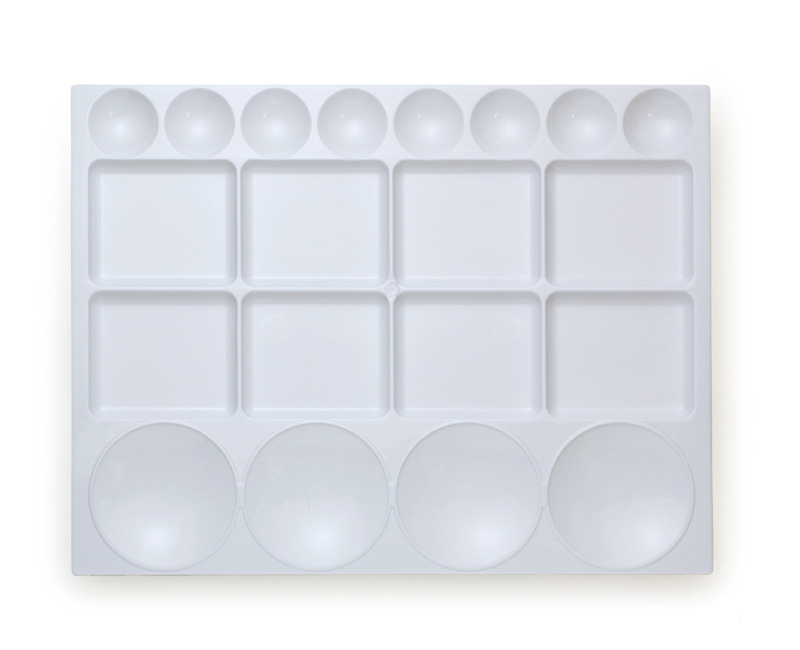 There are also design palettes with deep recesses for working with poster colors as well as saucer-shaped types. 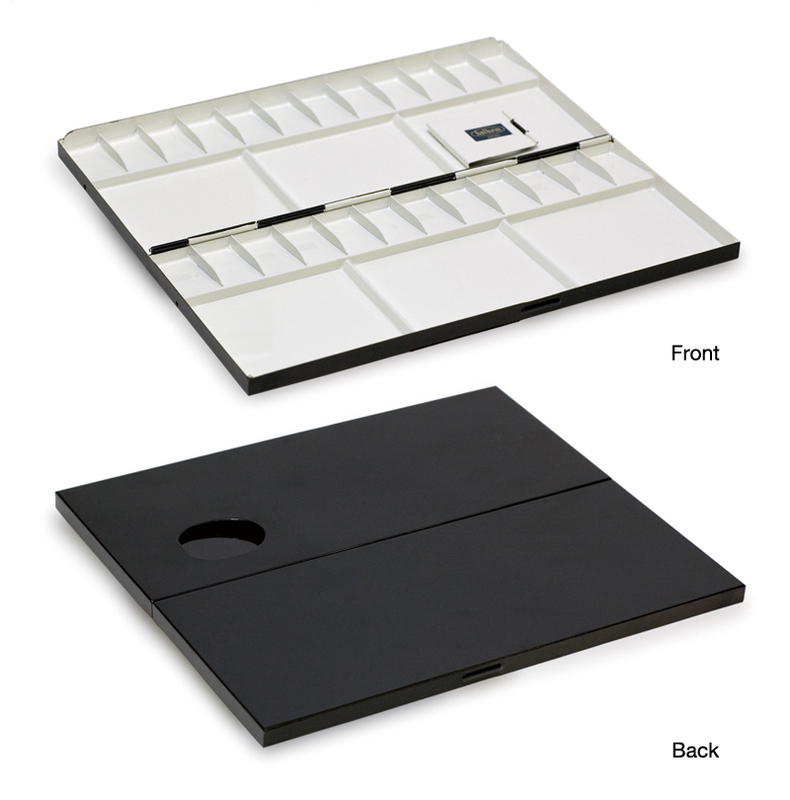 Palettes also come in various types of materials. 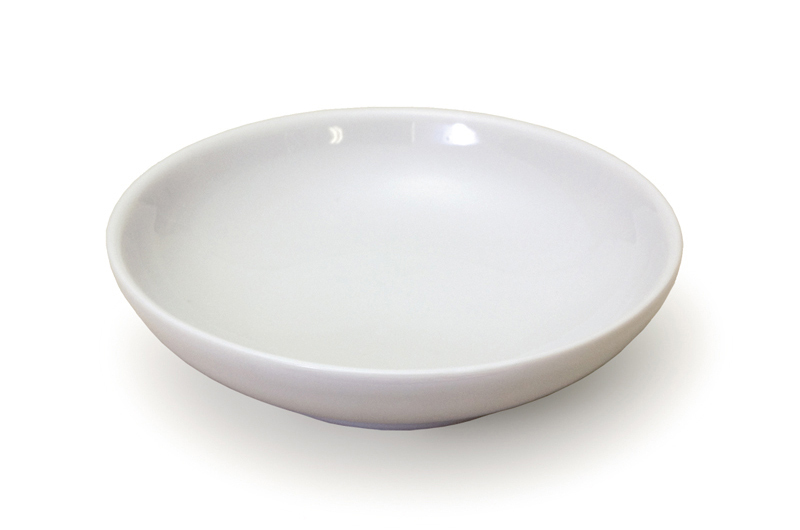 Aluminum, steel and other metal types have a porcelain enamel surface to prevent corrosion. They are durable, have good paint preserving properties and do not crack, even when dry. 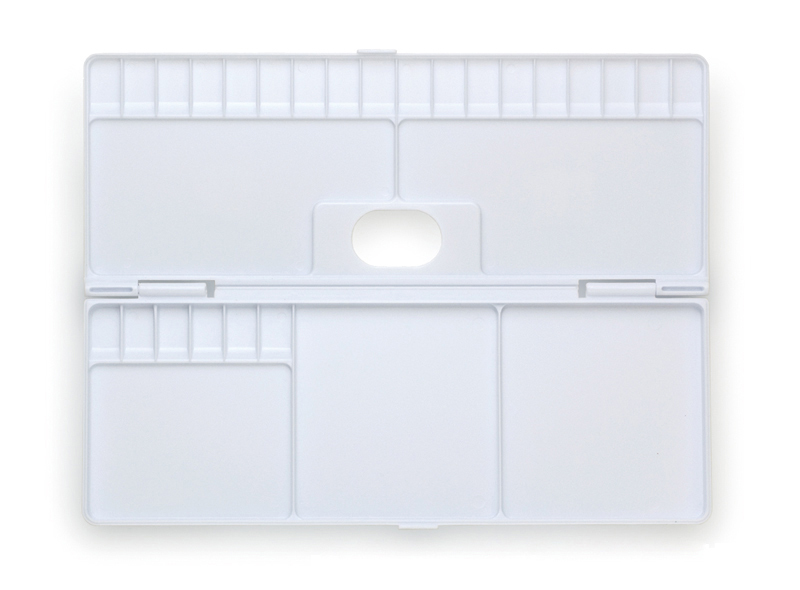 Polypropylene and other resin palettes are inexpensive and easy to machine so there are many different shapes and designs used for compartmentalization. Paper palettes come in booklets with dozens of surface-coated sheets. Each one is thrown out after use so cleaning up is easy. 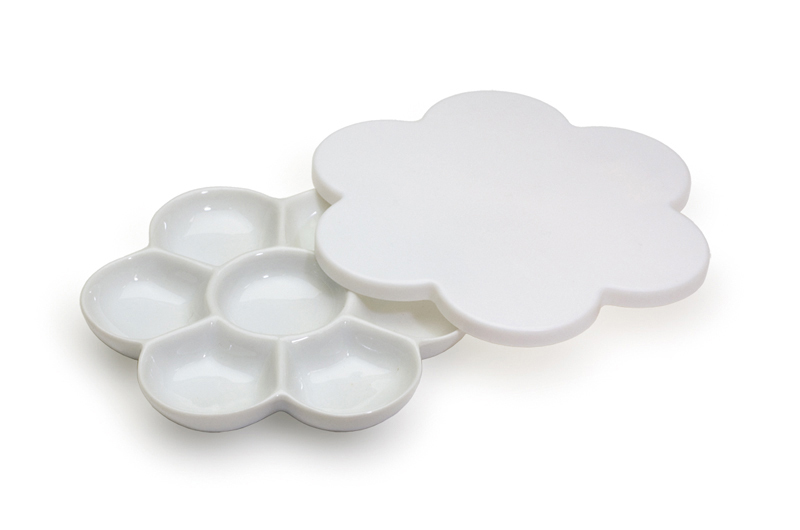 They are mainly useful for quick-drying acrylics. 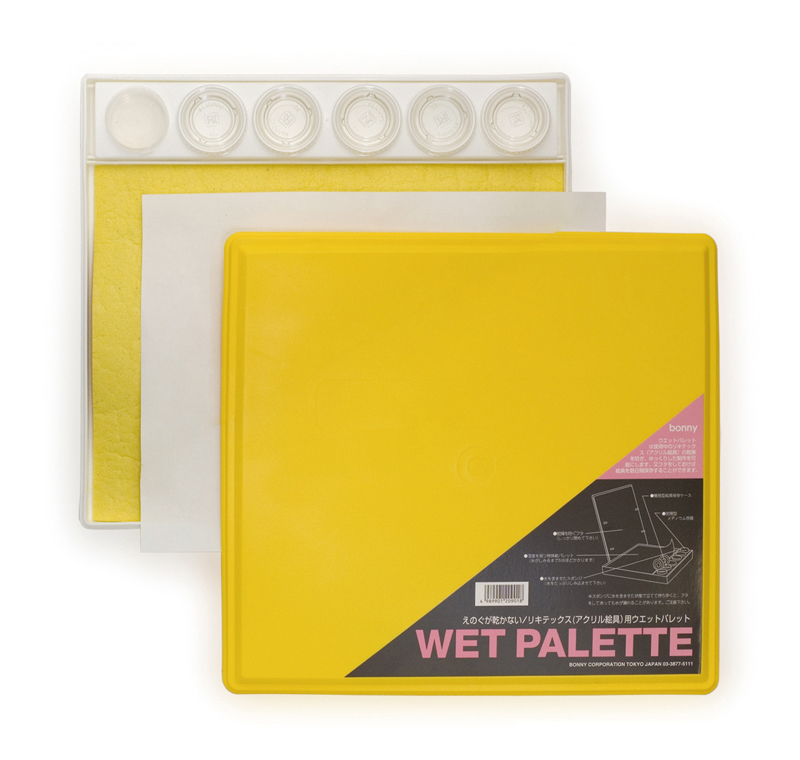 Other types include wet palettes with a moistened surface to prevent acrylic paintings from drying, ceramic plum blossom-shaped palettes and picture palettes. 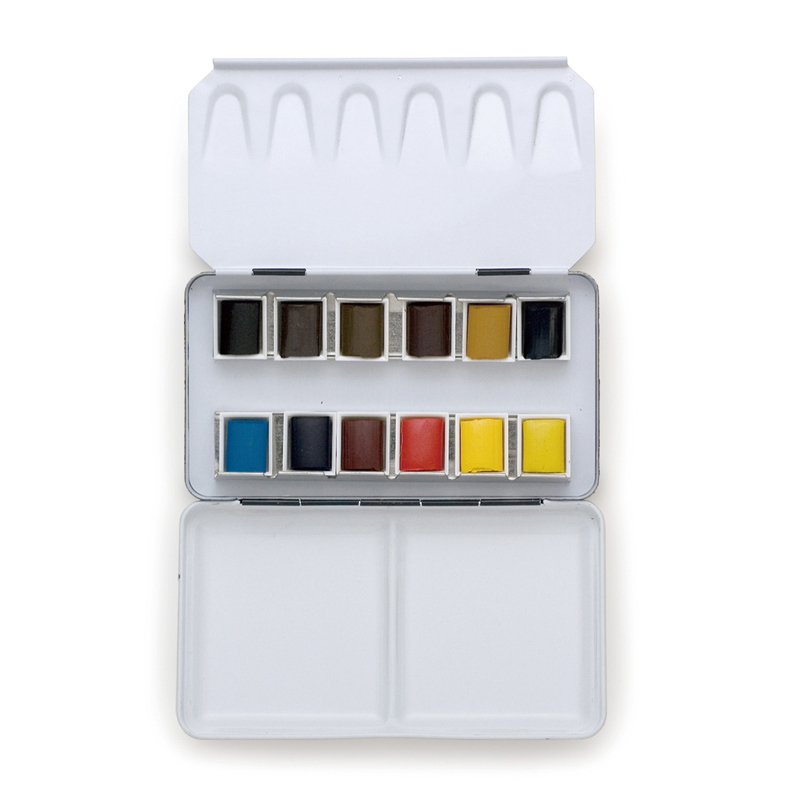 To use them, generally the paint is arranged on the palette and individual colors are placed in small compartments. When doing this, it is best to arrange the different hues rather than just put out the required colors only (but acrylics dry fast so it is best to put them out when required). The general practice is to arrange the colors according to the color circle but, depending on the style of work, it is also acceptable to arrange them in order of brightness and transparency. Be sure to have more paint on hand than you need at all times. Leftover watercolors can be dried and kept as they are. They can be used again by diluting with a wet brush. 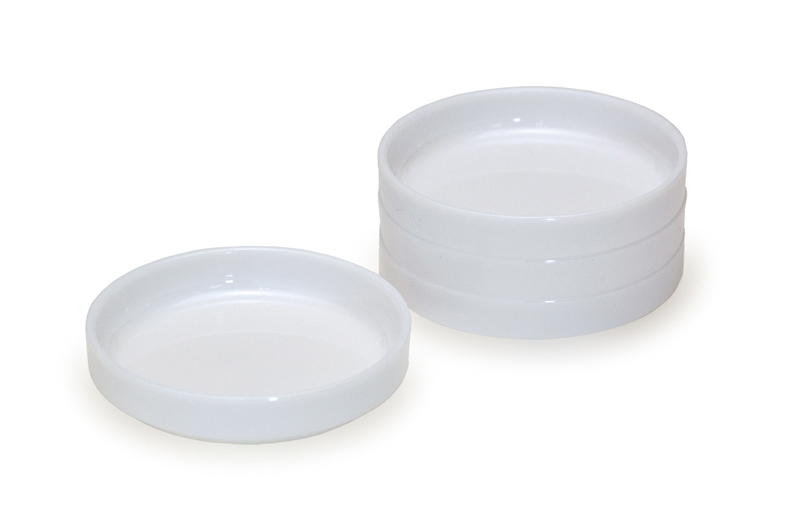 Make sure that your palette is thoroughly rinsed in water and wiped clean after use. Palettes can be purchased at general art stores.